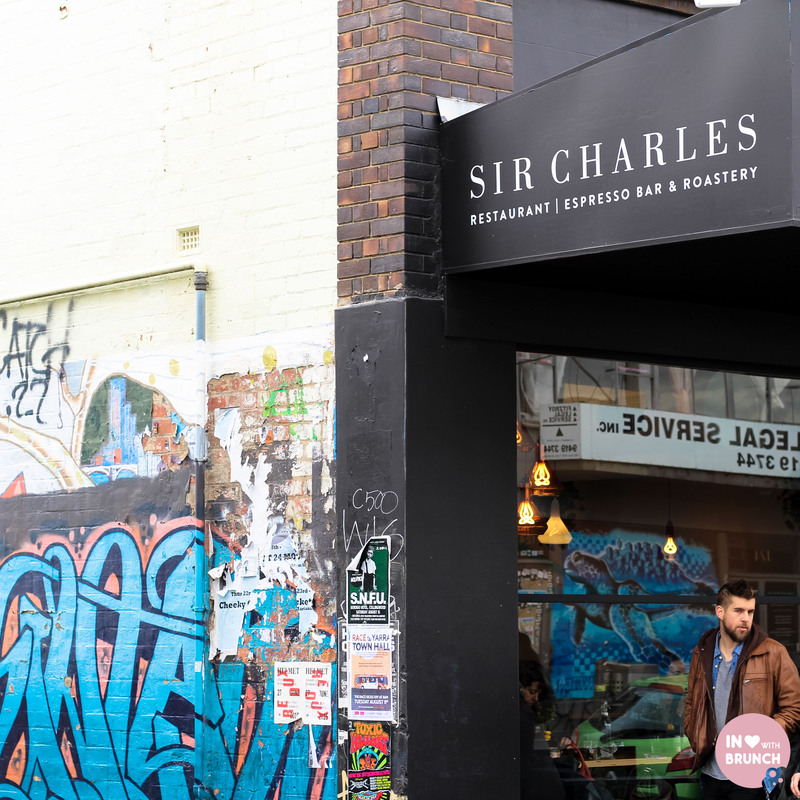 the blocks between brunswick and smith streets are quickly becoming some of my favourite in melbourne – great food, live music + shopping… so when my little sister recently came to visit we headed out to sir charles on johnston st which has been on my wishlist for a little while. the cafe opened around february this year, on the site of the old beans & bagels. the warehouse-converted space is seriously enormous! high vaulted ceilings, generously spaced tables, a coffee roaster along one wall. it has a fantastic open, light + airy feeling, with pops of colour and plenty of timber throughout. 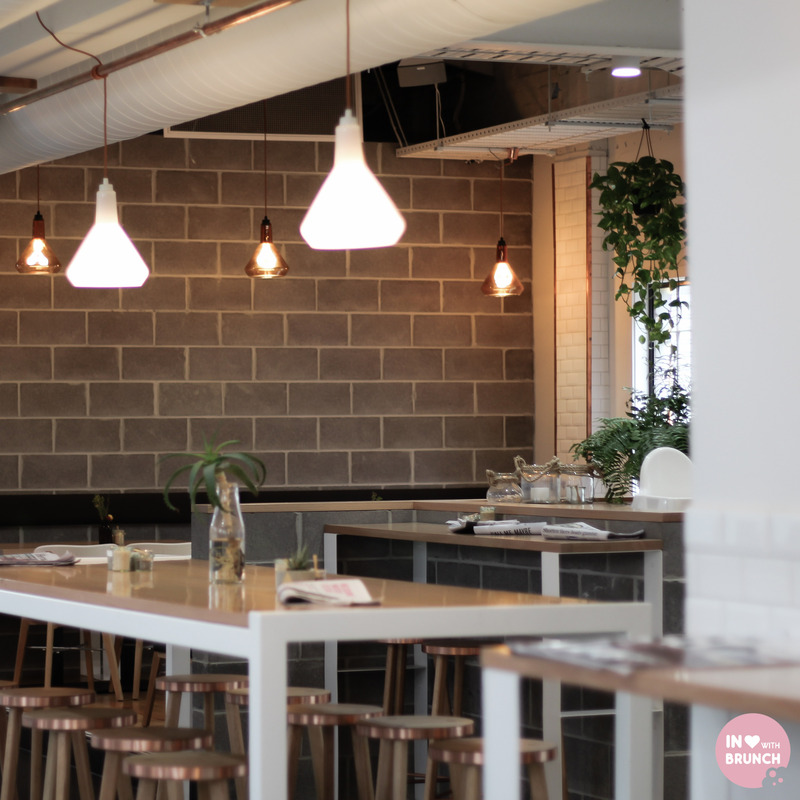 the menu is asian-influenced, to be expected with tyler preston running the kitchen (ex-chin chin), as well as an owner-pedigree including axil coffee… so i was expecting a great experience and was not disappointed! 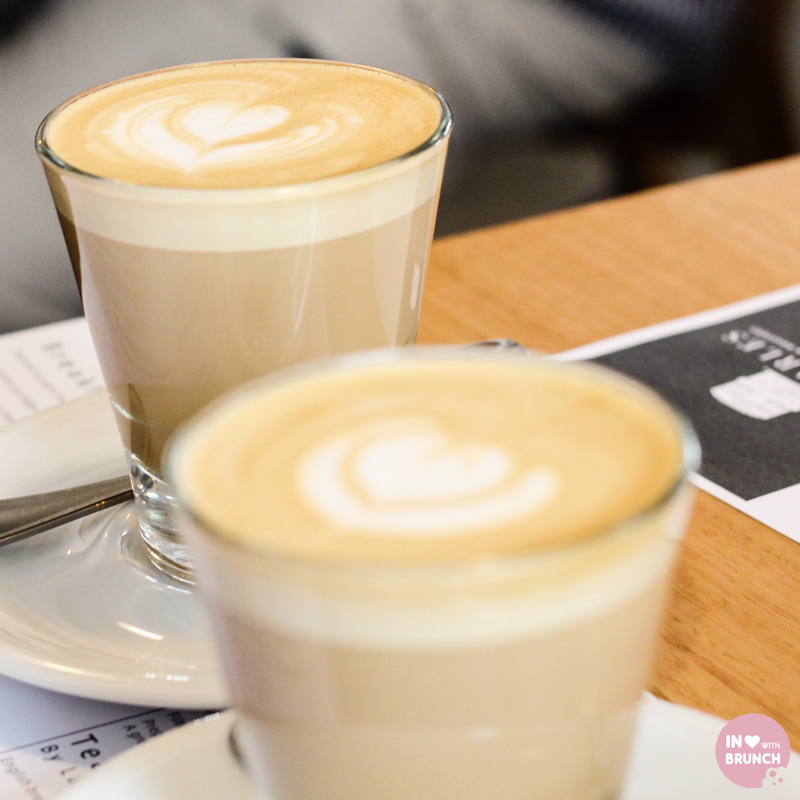 house-blend flat white coffee was smooth, vibrant and rich in flavour. coffee is roasted on-site and poured with some excellent barista skills. thoroughly enjoyable! this was the dish i had my eye on before arriving, but as a stand out on the menu the four of us had a (small) argument over who was going to be the lucky one to order it – after all we couldn’t all order the same thing! with promises to give me a try, my sister’s boyfriend was lucky enough to get the majority of this one, however the mouthful i did try was AH-MAZ-ING. crispy outer-coating on the eggs, gooey and runny yolk on the inside. 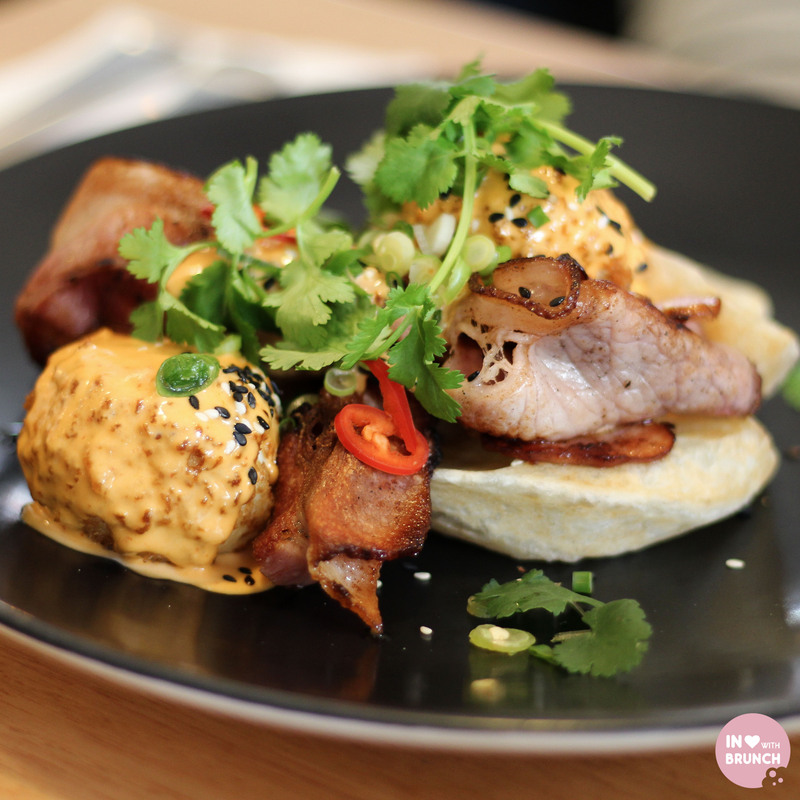 the hollandaise was bitey and paired with the asian herbs and some deliciously crispy bacon…. there is no doubt in my mind that i need to come back to have one of these all to myself! 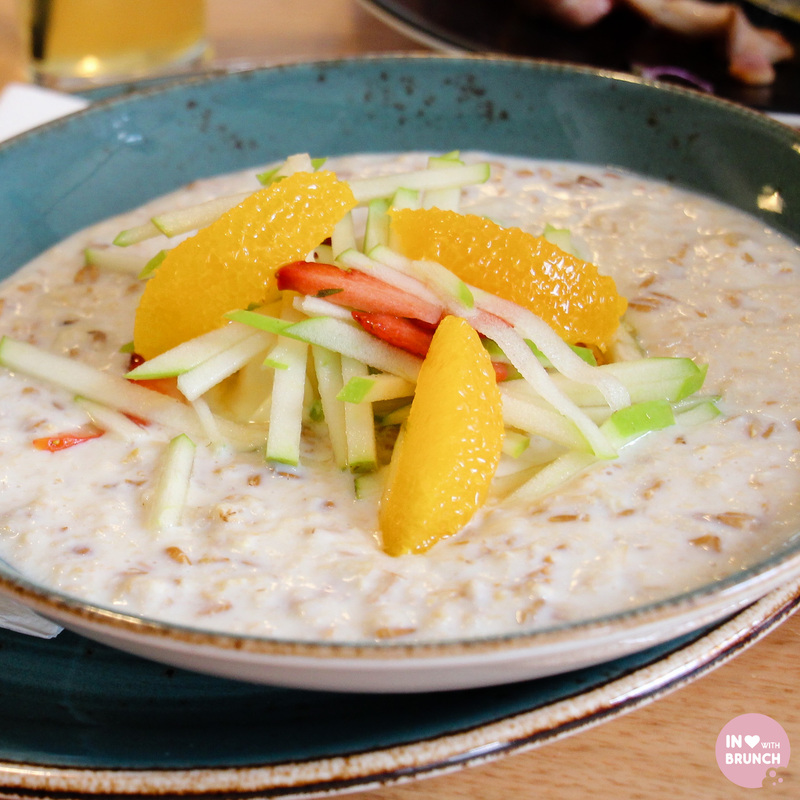 creamy and wonderfully soft, this porridge was cooked perfectly. the fresh fruit on top was juicy and sweet and there was a small jar of honey to pour over. the mascarpone was sweet and melted into the porridge to add an even greater depth of creaminess. yum. i stupidly forgot to write down the exact description of this dish, so unfortunately i can’t list the syrup + crumb that was also with this dish, however take it on good authority that this is delicious! 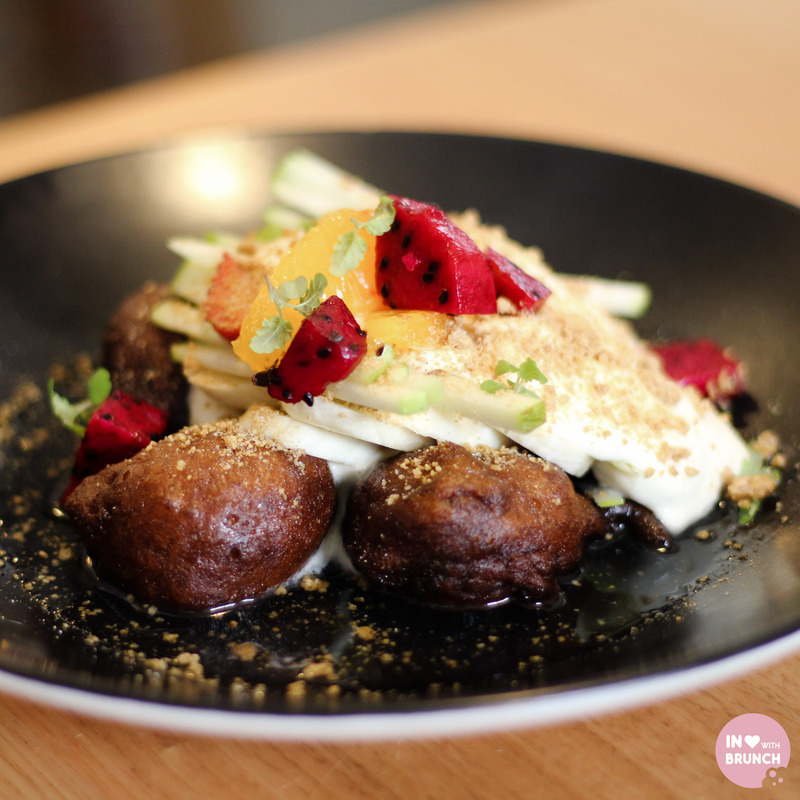 this dish reminded me of gulab jamun (one of my favourite indian desserts), except more fresh and filling due to the addition of the fresh fruit. it was sublime. 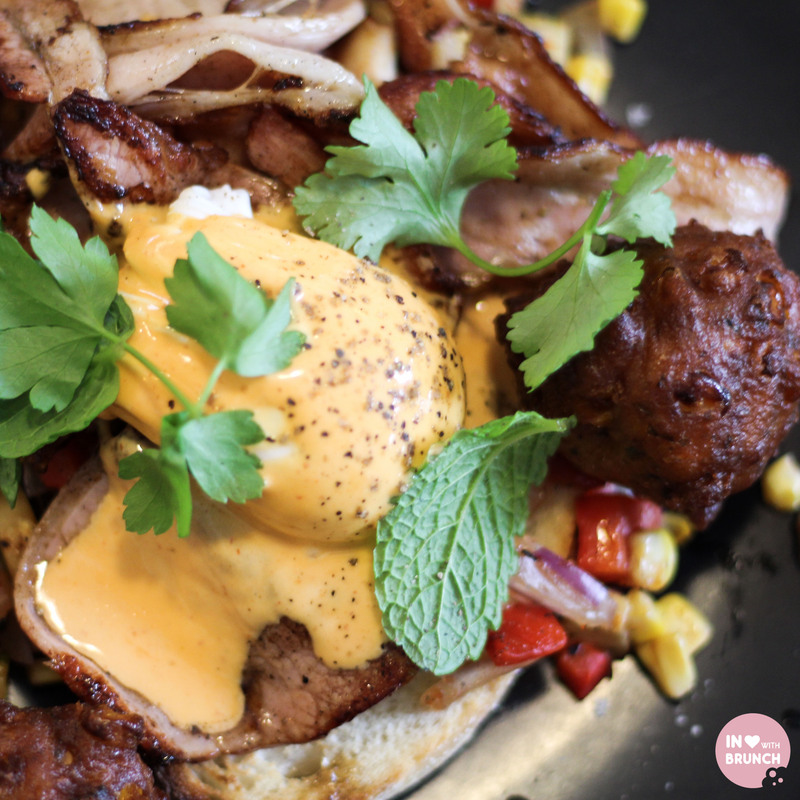 there’s a definitive theme going on with deep fried round things on the menu – first panco-crumbed eggs, then banana fritters and now finally corn fritters… not that i am complaining – they are all amazing! 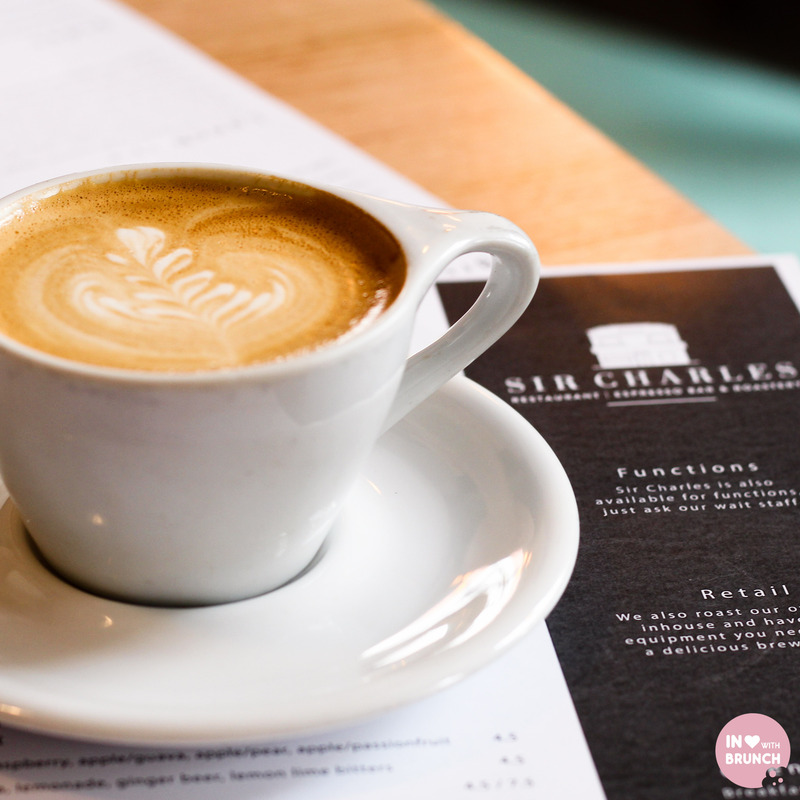 my sister went for this one and remarked that the flavours were really fresh + vibrant with that kick of spice that seems synonymous with sir charles’ menu. a generous portion size too, which was a theme throughout all the dishes we tried. our service throughout the morning was attentive, efficient and really friendly. front of house were on their game and at no point did we feel rushed or badgered to move on, which was great given i hadn’t seen my sister in a while + we were chatting away. 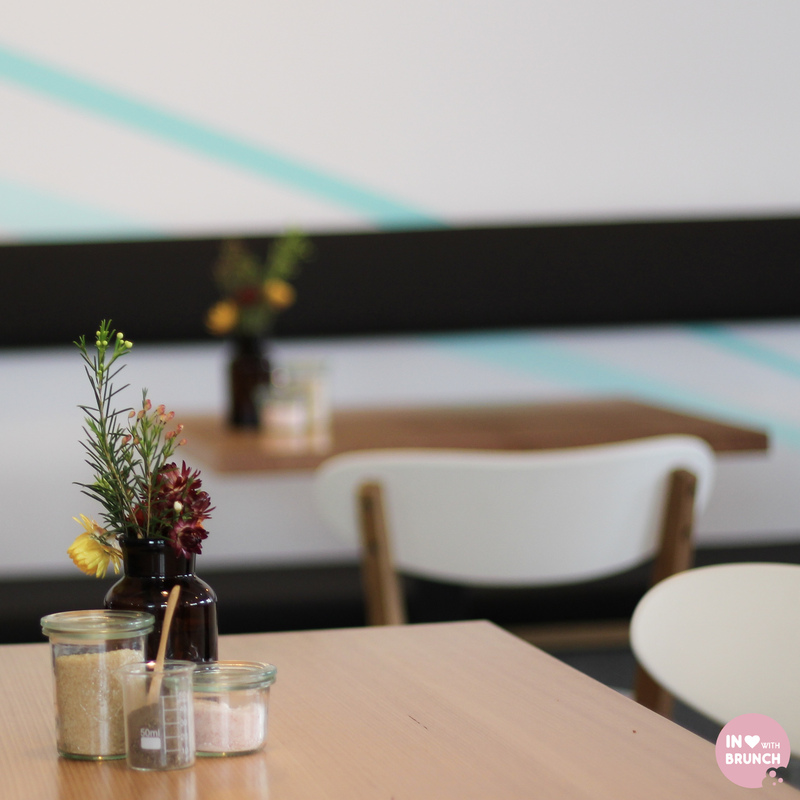 overall, this is a top notch cafe – intense + flavourful food, great coffee + a very cool vibe and venue. sir charles… you have moved right up the top of my revisit-list. verdict: i am not worthy sir… simply amazing! The porridge looks incredible! Such an odd touch with the mascarpone, I really like the sound of that!